I have been wanting a tattoo since I was 18 (which is actually about half my life – yikes – that makes a girl feel slightly old). So in celebration of my 29th birthday (okay, if you did the math from the first sentence, you know I’m a little older than 29 (okay, okay…I was celebrating my 37th birthday, but I refuse to look a day over 29 until I hit 40, and then I’ll let my fake-age go up to 30)) – anyway, in celebration of my birthday, I FINALLY got a tattoo! I’ve actually been with several of my friends while they’ve gone under the gun. I’ve even selected a butterfly or two that I thought would look super-awesome on my ankle, but each time, my friends talked me out of getting one. I knew they were right. The truth is, if I had gotten a butterfly tattooed on my ankle (or anywhere else on my body), I would absolutely wish I didn’t have it now. Not because butterflies aren’t beautiful, but because they really don’t have any significant meaning to me (other than they’re cute). And now that I’m older, I consider a tattoo a pretty awesome opportunity to portray a message without saying anything at all. The verse was later adopted by Mother Teresa and rewritten to more clearly reflect her faith. But the meaning remains the same. You don’t do good for accolades or recognition. You simply do good because you want to bless others. 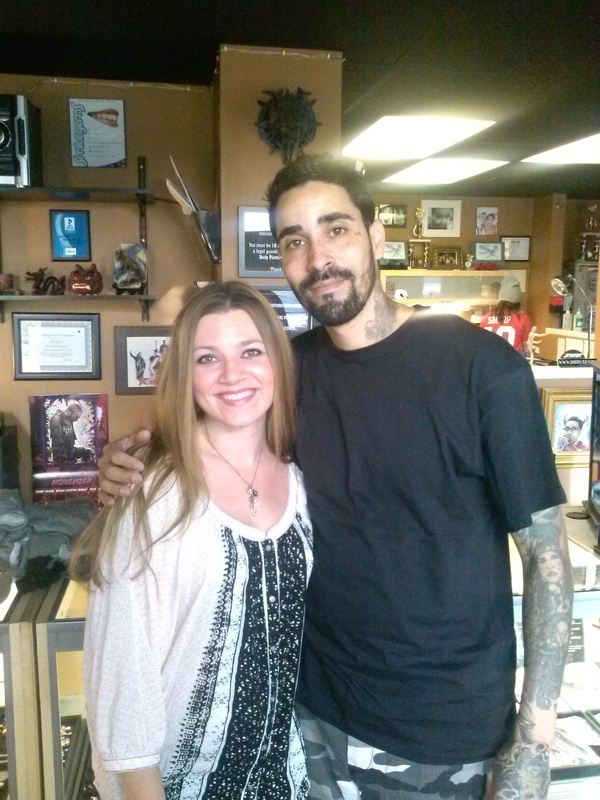 So the day after my 29th (37th) birthday, I went to Jerome James (JJ) at The Canvas Tattoo Studio. He came recommended by my friends and one of my younger brothers. JJ is an amazing artist! He’s been featured in tattoo magazines around the world, and after flipping through a few of his books while I waited for my appointment, I felt sort of sad I didn’t want a more elaborate tat! Having him ink three words on my foot seemed like a waste of his mad-skills. I’m not gonna lie. Getting a tattoo on your foot hurts. Period. There were moments when it just felt like an annoying prickle, but mostly it felt like JJ was slicing into my flesh with a razor blade. But it went super-fast, and within a matter of a few minutes, it was done. I might be gripping the arm rests on the chair in this picture cause it sorta-totally hurt. Post tat picture with my new friend JJ. Three days later…lookin’ pretty good! And here’s the verse I took the phrase from…as rewritten by Mother Teresa. I could probably riddle my body with quotes from this. I love EVERY singe line! What a beautifully written & wonderful daily reminder! It’s a good thing for me to see each day!